GET READY TO SING OUT LOUD! 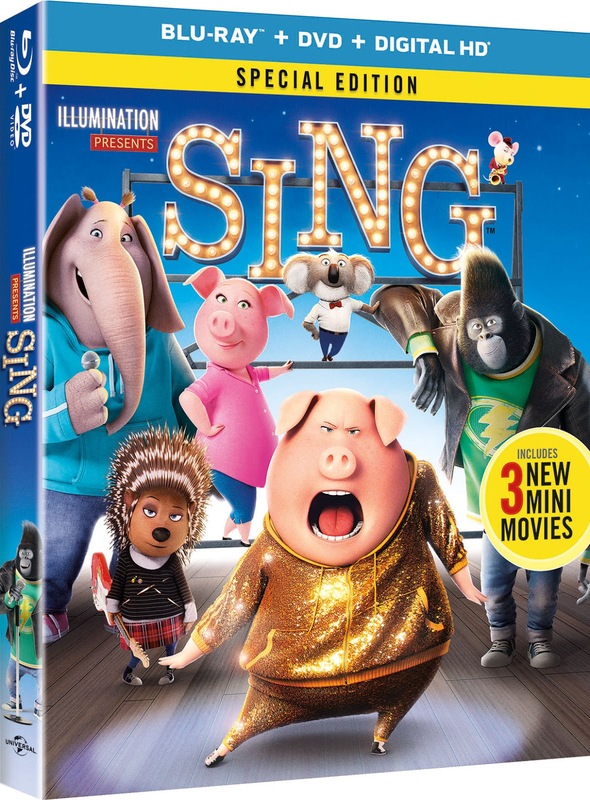 As we eagerly await the Universal Home Entertainment Blu-ray™ and DVD release of SING next Tuesday, March 21st, check out this special, exclusive clip from the lovely Reece Witherspoon. The clip, narrated by Reece (Rosita in SING ), delves into the busy life of Rosita and ALL mom's as they try to navigate being a super mom and a super star! The clip then shows a hilarious spoof ad for Rosita's fantastic invention - something every parent wishes they had! Pre-order SING - Special Edition (Blu-ray + DVD + Digital HD) on Amazon for $19.96 & FREE Shipping on orders over $35. Reece talks the power of song and MOM in this bonus clip from SING.